There is nothing more wonderful than doodling little people that look warm and cozy. This is my new illustration for Velvet Feather i have been going stamping mad making business cards i can’t wait to finish everything off ready for my christmas stall in two weeks. The website hopefully in the next few days will get a total revamp. Previous Post little antique adventure with mum. Next Post a little Q&A sesh. I love it! 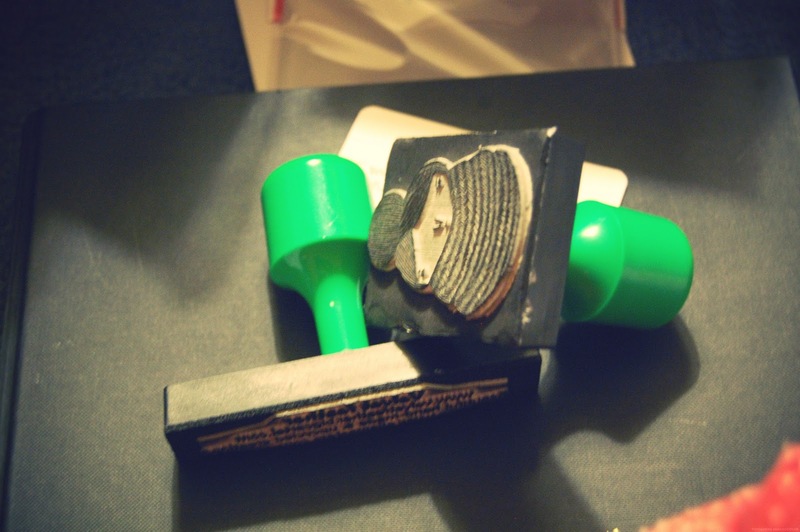 Did you make the stamp yourself? I want one!! Oh my word, how incredibly charming! Looking forward to seeing the new re-vamp also! You're so wonderfully productive, Ella! I wish you all the luck in the world with your Christmas ventures! Adorable!! I want one! I started collecting stamps at a very young age, 6 years old! This stamp is very, very lovely! I love it! =D That's great!